The North Western Inshore Fisheries and Conservation Authority (NWIFCA) District hosts large numbers of Recreational Sea Anglers who enjoy the benefits of the varying coastal conditions. The District covers the whole of the North West coast of England, covering around 1,280 km of coastline and extends out to the six nautical mile boundary. Sea angling brings many social and economic benefits to participants and to local communities. There are a number of angling charter boats, both boat and shore-based angling clubs, angling shops, as well as thousands of individuals not affiliated with a club located in the North West District. Regional sea fishing social media groups have in excess of 12,000 members, which reflect the importance of the sport. Historically, the Sea Fisheries Committees that came before the IFCAs were under no obligation to assess or manage recreational fishing. Now, under the Marine and Coastal Access Act (2009), the NWIFCA has a legislative duty to seek to ensure the sustainable exploitation of sea fisheries resources as well as balancing the social and economic benefits of this exploitation. The term “sea fisheries resources” means any plants or animals that live in the sea excluding migratory fish and freshwater fish (including salmon, trout, eels, lampreys, smelt, and shad). Recreational sea angling is not regulated in the same way as commercial fishing and there is currently no record of who participates, when and where angling occurs, or what is caught. 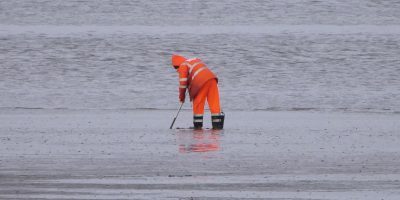 The NWIFCA collect as much data as possible during routine patrols and inspections but there is still a lack of comprehensive knowledge surrounding the type, extent, and importance of sea angling in our District. 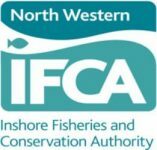 The NWIFCA recognises that anglers hold a wealth of knowledge and data on fish stocks. The NWIFCA wants to engage with recreational sea anglers of all descriptions and has produced our Recreational Sea Angling Strategy to facilitate and develop positive engagement. The Strategy is designed as a working document that will evolve over time, developing a dialogue with sea anglers and incorporating input and feedback we get from the sector. The Strategy is available to view here. There are a range of minimum landing sizes for various species. A full list of the minimum landing sizes for the NWIFCA District can be seen here. Different rules may also apply depending on where you are angling in the NWIFCA District. Foul hooking is prohibited throughout the District under NWIFCA Byelaws (a full list of all Byelaws can be seen here). Please speak with your local IFCO or contact the office for advice. The Angling Trust has its own minimum fish size guidance and they often state sizes larger than those legally required, representing the conservation mindedness of many anglers. Their guidance can be found here. The Marine Management Organisation (MMO) has a national webpage with information on Minimum Conservation Reference Sizes for fish and shellfish. Recent ICES scientific advice showed that there has been a decline in the bass spawning stock biomass in recent years. This advice led to the creation of the national 2017 bass measures, which limited opportunities for fishing for bass by the EU (Article 9 of the EU Council Regulation 2017/127). The landing of one bass per person per day was brought forward into 2018, spanning from the 1st of October to the 31st of December. Catch and release fishing has been re-instated from the 1st of January to the 31st of March 2019. We are aware that the recreational angling sector felt that the EU bass conservation measures were unfair; however, NWIFCA Officers have a legal duty to enforce these regulations. The NWIFCA website will be updated with any future changes. The MMO guidance on fishing for bass in 2019 is available here. There is some evidence to suggest that bass stocks in the NWIFCA District and the North East Irish Sea may be separate from the English Channel and southwest stocks. It is crucial to understand the links between the various populations as this may influence the way that the North Western stock is managed. NWIFCA have been engaged with CEFAS’s C-Bass project in 2017 and the continued Sea Bass Fisheries Conservation Project UK, which is scheduled to finish in 2020. The projects aim to improve our understanding of the biology of the European sea bass, including distribution, migrations, and behaviour in UK waters by working with the commercial and recreational fishing sectors. The project involves new electronic data storage tagging and mark ID studies within the North Western IFCA region and elsewhere around the UK to better understand bass movements in the eastern Irish Sea. The electronic tags log information on movement and activity of bass to give us information on the distribution and activity of different populations. More information on the C-BASS project can be found at the CEFAS blog. Working with CEFAS scientists and bass fishermen, successful rounds of tagging were completed during the summers of 2017 and 2018 in Morecambe Bay. Please be on the lookout for tags as they may have detached from the bass and washed up on the beach. If you catch a tagged bass or find a tag please follow this link to find further instructions on returning them to CEFAS. A workshop was also held on the 27th of September 2018 to engage with fishers in the region to develop our current knowledge on bass to promote long-term sustainable bass fisheries. The NWIFCA District has two bass nursery areas to protect juvenile bass. Juvenile bass up to the age of 4 or 5 stay in warmer, shallower waters such as those of estuaries or near power stations until moving offshore when they reach sexual maturity. Both the Dee Estuary Bass Nursey Area and the Heysham Bass Nursery Area were originally designated through a national Statutory Instrument in 1990. Fishing in the Heysham Bass Nursery Area is also prohibited under the NWIFCA Byelaw 5. Both areas are enforced by NWIFCA Officers for the protection of juvenile bass. For more information on bass, please see our bass species page. NWIFCA is aware that our data on spawning fish and on how juvenile bass use our estuaries is very limited, but that anglers may hold a wealth of information that could prove useful in identifying essential habitats and specific areas that should be protected. We welcome your input in furthering our understanding. All IFCAs have been tasked by the Defra (Department for Environment, Food and Rural Affairs) to assess hand gathering and bait collection activities within all European Marine Sites to identify whether management is required. Our current knowledge of these activities suggests that there are no issues in our District and, therefore, no management is anticipated. In order to support our decisions, the NWIFCA requires further data on bait collection activities and has designed a questionnaire for anyone who gathers bait in the District. If you have experience in hand-gathering and bait collection we need your help. Please follow the link to our questionnaire. Along with other active users of the marine environment, anglers can create a pathway that can cause the spread of marine invasive non-native species (INNS). INNS are both animals and plants that originate from foreign areas and can harm British native wildlife and fisheries. Marine INNS are often able to attach themselves to angling equipment, including rods and waders, which can be spread to other areas if not properly dealt with. The NWIFCA is supporting the national “Check, Clean, Dry” campaign to combat the spread of invasive species. It is important that anglers are aware of what species to look out for and check their equipment for signs of them, as well as ensuring that equipment is washed and dried between trips. For more details on the “Check, Clean, Dry” campaign please visit the GB Non-Native Species Secretariat website and the page specific to biosecurity for anglers. The NWIFCA have also produced a Biosecurity Plan, which details what to be on the lookout for regarding invasive non-native species as well as the steps to take if you believe you have come across a non-native species. For more information on this, please visit the Biosecurity section of our website. In order to actively engage with our angling stakeholders, officers from the NWIFCA have recently attended angling competitions and angling club meetings throughout the District giving talks and discussing issues with anglers. We have also set up a dedicated angling email, [email protected], as a means for anglers to contact us at the NWIFCA. If you would like us to come along to your club please get in touch. We also welcome updates on the species that are being caught throughout the District as well as any photos of notable catch. We also encourage our stakeholders to send in any data collected at angling matches or from day to day fishing, such as the length, weight, and the type of fish caught. If you intend on sending in any catch information or photos please include the weather, tide height, and the location of where the fish was caught. We welcome any feedback, comments, or concerns surrounding recreational sea angling. This will help to develop our Recreational Sea Angling Strategy. To achieve our targets set in the Strategy we also encourage anglers to Register as Stakeholders. This will allow us to contact relevant individuals for collaborative work and future consultations, as well as to send out information, news, and updates.